A council has triggered a backlash among parents and animal welfare groups after introducing halal-only menus at state schools. Only meat from animals killed in line with Islamic teaching will be offered at 52 primary schools in Harrow, following a switch by ten secondaries to halal menus. But parents have voiced concern over the methods used to slaughter animals in this way and say they haven't been properly consulted over the changes. 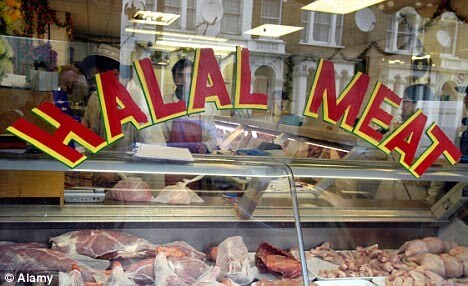 Harrow Council is among the first in Britain to encourage halal meat. It says dieticians recommended the policy due to difficulties storing and preparing two sorts of meat. According to the 2001 census, the North-West London borough is among the most religiously diverse areas in Britain. Just under half of the population is Christian, a fifth is Hindu, 7 percent is Muslim and 6 percent Jewish. The council says the composition of the area's primary schools is now significantly different and the Muslim population is larger. Halal slaughtering involves cutting through the large arteries in the neck with one swipe of a blade, while a Muslim butcher recites a religious verse. 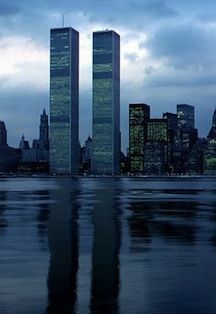 All blood is then drained away since the consumption of blood is forbidden under Islamic law. Animal welfare campaigners say the method, which is exempted from welfare laws, is inhumane as animals are not stunned before being killed. Harrow resident Sheila Murphy called the council's move 'appalling'. 'The Farm Animal Welfare Council has lobbied the government in the past to get the kosher and halal method of slaughter banned,' she said. 'The halal method is deemed cruel by some animal-lovers, who object to the slow death it involves. Contracts signed with the council's preferred catering company, Harrison's, stipulate that only halal meat is served. The firm has been providing nine of the borough's secondary schools with meals for two years and will take on the final high school next month. The contract for providing meals to Harrow primaries is up for renewal and the council is planning to bring in Harrison's. The council says primaries do not have to use its preferred caterer and governors are free to negotiate their own deals if they wish. Only two primaries have so far signed up. Masood Khawaja, president of the Halal Food Authority, said: 'It is commendable for schools to provide halal meals but there must be an alternative for non-Muslims. Councillor Brian Gate, portfolio holder for schools and colleges, said: 'The decision about whether to use an individual provider is for schools to make, as funding is delegated to them.